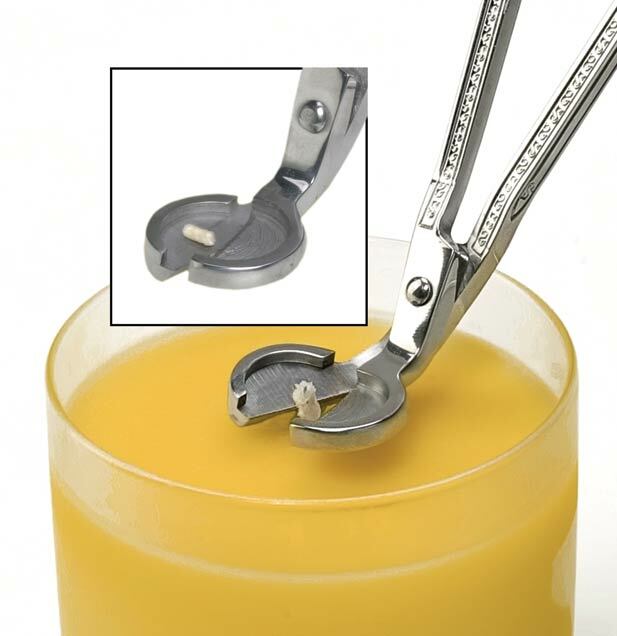 Scented candle wicks should always be trimmed to 1/8” to 1/4" above the surface of the candle. Make sure the wax around the wick is flat so your sizing is accurate. To trim the wick you can use scissors or after the candle has been burned at least once (and blown out) you can pinch off the wick with your fingers.... but.... using scissors leaves the excess wick in your candle which is not good, and using your fingers gets that messy black stuff all over them. Luckily there is a handy dandy tool that you can get that will solve both problems. 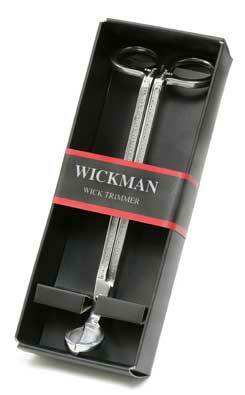 The Wickman candle wick trimmer. We sell them in the retail store and online as well.